In my May blog post, here on Inspyromance, I wrote about my love of journals. Despite having stacks and stacks there’s one that I didn’t mention. There was a reason for that. This journal is very special to me and it deserves a blog post of its own. Similar to a gratitude journal, it’s a wonderful tool to gain insight into what really makes you happy, over a five-year period. What I like the most is it forces me find something to be happy about, even on those difficult days where everything seems to have gone wrong. The journal is perfect for those who don’t have the time to sit down and write a lengthy entry. It’s one sentence…just one. Who doesn’t have time to write one sentence each day? As a writer, if I can’t do that, I’m in big trouble. One of my favorite things about writing my daily entry is glancing at the lines above to see what made me happy last year and the year before. This is my third year of diligently recording my happiness for the day. Here are a few entries from my journal that pertain to being a blogger at Inspyromance.com. August 12, 2017: I’m happy Val has left the door open for me to return to Inspyromance.com. After a great deal of prayer, it’s with a heavy heart that I must step away from the blog as a monthly contributor. This wasn’t an easy decision for me, but Val’s graciousness has made it a little easier. Everyone experiences challenging seasons and lately it’s been my turn. I wanted to say thank you to each of the lovely women who make up this fantastic blog and to you, the readers. So, looking back on yesterday, how would your entry into a happiness journal read? ***I’m at my day job today, so I’ll be around later to chat. Hi Jill, sad to hear you will not be blogging- hopefully you will come back soon, and prayers to you for this season of life. I love the idea of a happiness journal- today’s entry for me would have to read- finished marking my students’ last History assessment, always a good thing to have marking completed! Now onwards to exams…and another pile of marking!! Thank you for your prayers, Wemble. Yay you for finishing your markings! I’m sure that’s a big relief. Good luck with your next pile. I appreciate your visit today. Hi Jill. 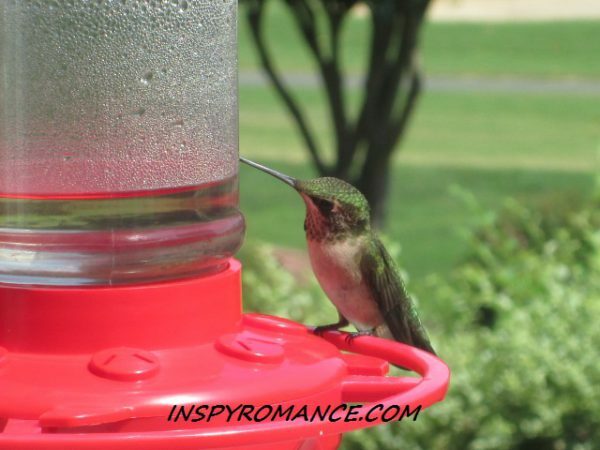 We will miss your inspiring blogs on Inspy Romance. Wishing you God’s strength and guidance in this season of your life. A happiness journal is a great idea, since during the daily stress of life one often forgets all the good. Even though yesterday was an extremely tiring day chasing an eight month old granddaughter, I am HAPPY that all my grandchildren are healthy and inquisitive. Seeley is frustrated because she wants to walk and keep up with her 4 year old cousin. No time for reading, since I cannot take my eyes of Seeley. She reminds me of her father (my son), when he was eight months old. Best wishes. Hope you will be back soon! Thank you so much, Renate. I’ll still be around, just not posting for now. How blessed you are to live close to your grandchildren. I would have loved to have my grandmother living nearby when I was growing up. I have a feeling little Seeley will be walking soon…then you’ll be really tired! Thanks for stopping by today. Jill, your posts always make me happy. :D I think this comes from the fact that you actively practice gratitude. I understand the need to step away during this season of your life. May the Lord bless you. Aww…thank you so much, L. Marie. Your prayers and friendship mean so much to me. Thanks for visiting! Hugs. We’ll miss you! I hope there’ll be a season soon that allows you to return! Thank you so much, Elizabeth. It’s been a true blessing to be a part of this blog. I’ll still be around. You are an amazing woman of God who inspires me to practice gratitude on a daily basis! You do have so many plates spinning in the air, it’s to your credit and discernment to realize there’s at least one plate too many. Priorities. At times we have to sacrifice the good for the best. You are choosing to make the best of what God has called you to do. God is with you in this season and you can trust Him with all if it. Hugs! August 12, 2017: I’m happy I was able to take advantage of some of the youthful energy of a twelve year old and have my granddaughter Ryann come help me with some of my fall cleaning. Lord bless you and guide you! It’s good to be able to recognize when you need to step back. I usually have trouble with that. Having just moved several states away to be closer to children and grandchildren, I had to drop everything I was doing. We’re enjoying a season of grand children currently! Yesterday was peaceful after a busy weekend making a quick trip back to Virginia for a wedding. Thank you so much, Diana. You’re right, it is healthy to recognize when we need to make some adjustments to our commitments. Even knowing that, it’s still difficult sometimes. I’m happy to know you’re closer to your grandchildren. Enjoy that special time! We will miss your inspirating posts ! Prayers for you . I appreciate your prayers and kind words, Nikki. Thanks for visiting today. Wow, thank YOU! It’s been such a pleasure having you here these past two years (ish), and I hope that when life smooths back out, you’ll be able to return. I think I need a happiness/gratitude journal of my own to remind me, not only to look for the positive, but for things unique to the day. These days I’m thankful our deep smoke (from the fires) has lifted somewhat, that I have fewer tomatoes to can every day (! ), and that I can go for a daily bike ride with my 5yo granddaughter. Listening to her chatter about her day for fifteen minutes straight is delightful! I hope so too, Val. It’s been a difficult decision to step away, I feel as though I’m letting you all down. That said, I do hope one day that I’ll write “I’m happy to be back at Inspyromance” in my journal. I think you’d enjoy this. It’s fun to see what made you happy on that same day the prior year or years. Thank you for sharing your happiness! Prayers for this next season of life. Keep of the journaling. What a fantastic idea. I think I will borrow this. Love the hummingbird. We have had them all summer. Our cat loves watching them. He even paws at the window at them and they seem to say HI to him by his paw then continue to eat. Thank you so much, Lori. I hope you’ll try this journal, it’s been life changing for me. Even on the worst possible day, it makes me think of one bright spot. I’ll bet that’s cute watching your cat. Those hummies are so fast, they can’t be caught by anyone. We love to watch our feeders and since August, our activity has been crazy. I’ll miss them when they migrate. Thanks for visiting today. You will be missed, Jill. I hope you come back at some point. I appreciate your kind words, Kimberly. You all have been wonderful. I’ll be around. Jill, you will definitely be missed at Inspy Romance. As a former (and original) Inspy Romance blogger, I know what a difficult decision it is to acknowledge you simply can’t do it all. But the door is always open, and that’s a comfort. Thank you for allowing me to guest post for you a few months ago; that was so gracious of you and very special for me. I LOVE the idea of a one-sentence journal! I have many pretty but blank notepads/notebooks sitting around for jotting notes about books. You know, you’ve inspired me today to pick up one and start my one one-sentence journal! :) That could be my entry for today…as for yesterday, my two-year-old granddaughter said the word “astronaut!” (with that emphasis) and thrilled my heart (since I wrote about an astronaut). I hope to keep up with you on Facebook, my friend. Blessings! Your friendship and support has been such a blessing to me, JoAnn. I’m so happy we connected through Inspy Romance. It was my pleasure hosting you for the release of THEE I WILL CHERISH…wild day, wasn’t it? I’m happy to hear I’ve inspired you today. Think how fun it would be to look back a year from yesterday and read about your granddaughter saying “astronaut”….that’s wonderful and so cute! My time on Facebook is quick snippets these days, but I’ll keep my eyes peeled for you. Thanks for visiting today. Yes, that was a really fun day! And, funny you should use the word “peeled” — let me tell you why. My maiden name was a variation of that very word. LOL. Really. It was! Blessings to you, and I see you stopped by my FB page today. I’ll look forward to your visits (and going to your pager, as well). I pulled out one of those journals today to start jotting away every day. Hugs, Jill! Um, that’s going to your PAGE, not your pager. I promise not to bug you (do they even HAVE pagers anymore)? Always nutty JoAnn here! Hugs. Hi Jill! 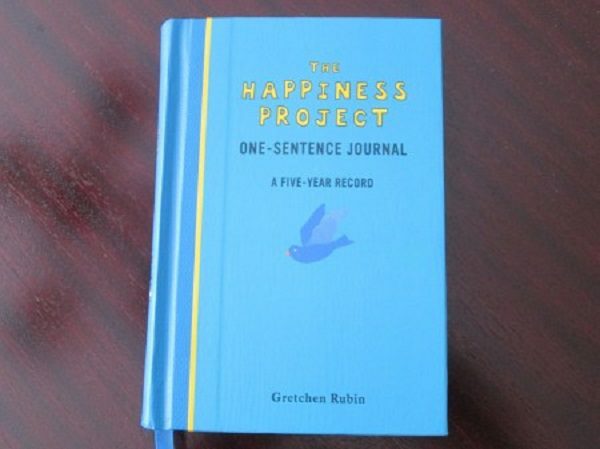 The happiness journal is a great idea! Finding something good every day surely helps us in life. Sorry to hear you won’t be blogging anymore, wish you all the best. It really is a wonderful thing, Laura. When I first started, there were a few times I got out of bed at night when I realized I forgot to write my entry for the day. Now, it’s a habit that I look forward to at the end of the day. Thank you for your kind words. I’ll still be blogging on my personal blog and one day, I hope to come back to Inspy. I appreciate your visit today! Hi, Jill! I love journals. I’m sorry to read you’re leaving, and I hope you can return soon. I enjoyed your posts! That’s so nice of you to say, Julie. I’ve enjoyed meeting all of the dedicated followers of this blog. As I mentioned above to Laura, I’ll be blogging on my personal blog and I hope to return here at some point. As for journals…oh my, I have enough to last me a lifetime! Thanks for visiting today. Jill, thanks for sharing your happiness journal. I think that’s one journal I could actually keep. I’m not much of a journal person. You will be missed here. I always loved that you were most often the first comment on the blog each day. Hi Merrille! This journal is so simple, yet it brings such joy. I hope you’ll give it a try. I’ll miss being part of the group, but I’ll still be around for those early morning comments. Thanks for all of your sweet comments. I’ll be keeping an eye out for all of your exciting travel adventures. So sorry you won’t be here with us, Jill. We’ll miss you! I am happy today for POWER…..we had none for 52 hours! Jill, I will miss you here, but certainly understand you have a Plate Full. It is very commendable that you realize that. Will be praying God’s blessings on you and that He will give you special strength at this season of your life! I’m happy that I had time to scrapbook yesterday. I’m happy you had that time to scrapbook too, Jessica. I know your “wee one” keeps you busy. Thanks so much for stopping by today. We’ll miss you! Since I didn’t get to read this until now, I can share that I was happy today to get to go to the opening day of our county fair. It’s always fun to see the quilts, the photographs, the art work, watch the 4-H kids with their pigs and goats and cows, and just enjoy the atmosphere. It’s a fun journal, Ellie…and so easy to do on a daily basis. No doubt your cat was waiting for you…that’s sweet! Thanks so much for visiting and sharing what made you happy. I’m sorry to hear you’re stepping away. Your contributions are always a good read. Take care! Mine would be, I’m happy that my sister-in-law is visiting for the week! Thank you for your kind words, Trixi. I hope you’ll try the happiness journal…it’s so easy. Enjoy your time with your sister-in-law! I’m catching up today because we were busy working all week on my sister’s house, trying to help her get it ready to sell. If I was answering this for the Tuesday the 12th, I’d say that I’m happy that I got the painting of baseboards all done so that my hubby could install them on Wednesday. The happiness journal is a great way to keep a thankful heart!